The Belvoir showcases both style and substance in a spacious, four-bedroom, two-bathroom home design. This quality Hilbert display home offers a practical, family friendly floorplan with luxurious additions that provide it with a real point of difference. The Belvoir makes a statement from the street, with a stylish, contemporary façade and paved porch leading to a dramatic entry foyer. Inside, the grown-ups are well and truly spoilt. Real attention has been given to the large, secluded master suite, which benefits from an enormous, fully fitted walk-in robe, plus resort-style ensuite with freestanding bath, twin vanities and separate WC. Sure to prove popular is the kitchen-scullery-laundry configuration, which offers the ultimate in functional living. The flow of the kitchen into a spacious scullery and adjoining laundry not only makes sense on a practical level, it’s also extremely convenient. Designed to suit a 15m-wide block, the Belvoir is a luxurious family home without compromise. The inclusion of a spacious media room and alfresco makes this Hilbert display home one of our best to date. 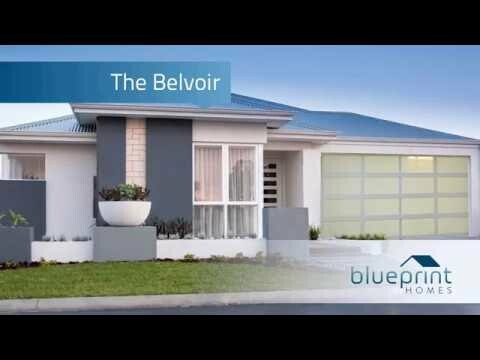 Sized to fit a 15m block frontage, The Belvoir is a spacious and stylish 4×2 home design.